 Russell proudly presents the ‘Twig and Berries, Juniper Berry, Kolsh.’ Kolsh is an ale brewed to taste like a lager. In our goal to make the perfect patio beer we have added REAL Juniper berries to provide a sweet, tart flavour reminiscent of a lovely gin and tonic. We are curious, what do you think of our fearless Brewers’ Twig and Berries?